Description: Detailed punching brings light through this sconce to illuminate the attractive pattern rendered on the front and sides. 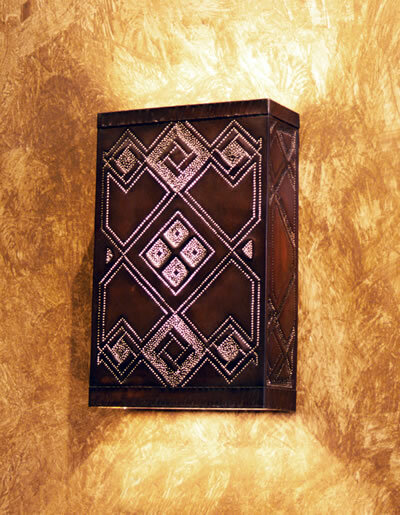 Shown here in dark copper, this sconce washes the wall above and below. Check with us about ADA compliance for commercial applications.